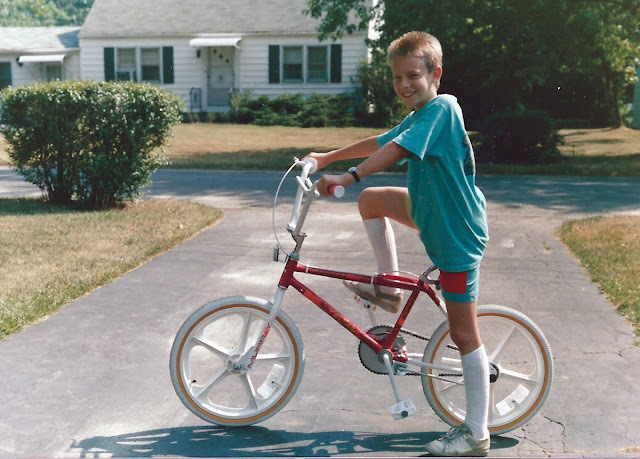 I was always fascinated with the fact that as a kid, you bicycle's everything to you. It's your car, it's your steed, it's your speeder bike. I thought it'd be fun to see if my parents could locate pics of all my bikes over the years. This fine specimen is actually my second, a Murray Freestyle. Totally diggin' my classic Op t-shirt. So this here's my very first bike. My dad, @normanity, refurbed this this one for me and it was the bike I learned to ride on. He put some Redline decals on it that went great with the matching mags, but I loved it because for years I thought they said "Red Lion," ya know, Voltron-style. My sis, JessintheCity, had a stellar banana-seat Sting-ray. 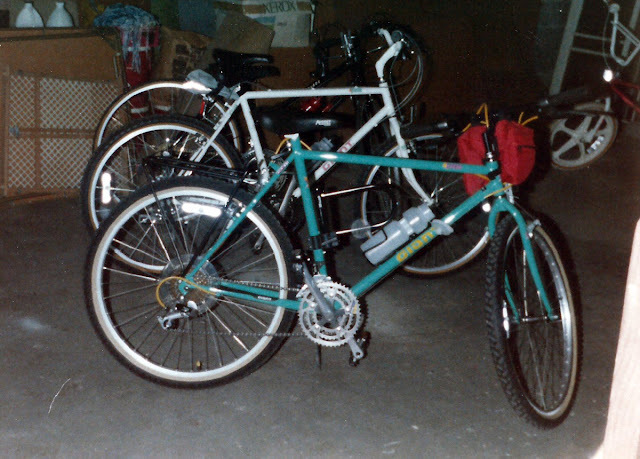 In the early '90s 10-speeds started giving way to mountain bikes. 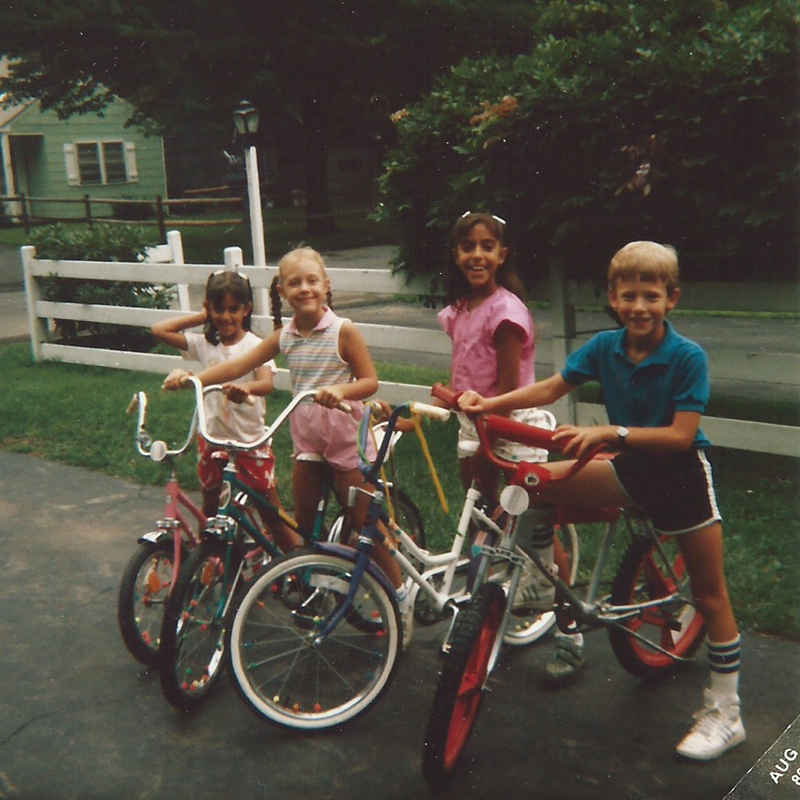 The white Giant in the background was my first bike with gears and my parents got a matching green one. I eventually got a rack and paniers for this bike and my buddies and I would stuff all of our tennis rackets in the saddle bags and head off to the courts in downtown Newburgh, NY.